The raids of the Vikings will arrive a month earlier than expected. Not March but February you need to put in your agendas. Yesterday they did the last finishing touch for season 3, and boy are they excited as we are to see the result of season 3. 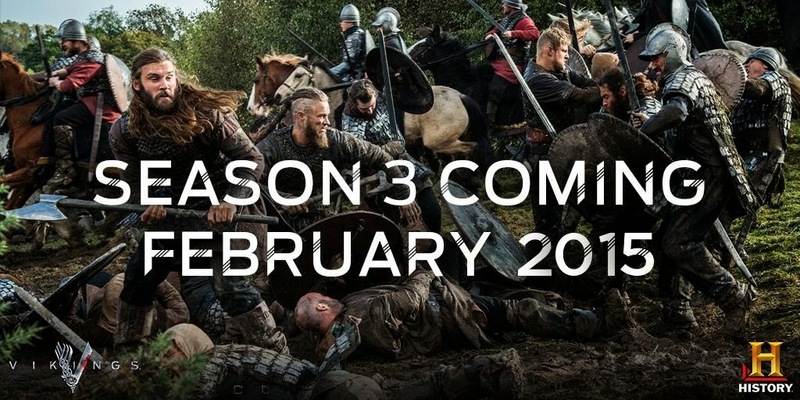 The wait is almost over and we can finally enjoy our beloved characters of Vikings. Will Floki betray another king? Will Lagertha get married to Ragnar again or will she marry King Eckbert? How are raids on Paris going to look like? Who will die half way this season? Will Floki except his daughter? Will there arrive new babies? Where is Princes Kwyndreth up to? What will happen to Athelstan? Will Rollo be equal to his brother? It is up to the writers which questions are answered. Until this happen I think they will reveal a couple of things I hope maybe a teaser trailer will come soon. It will definitely be worth the wait.